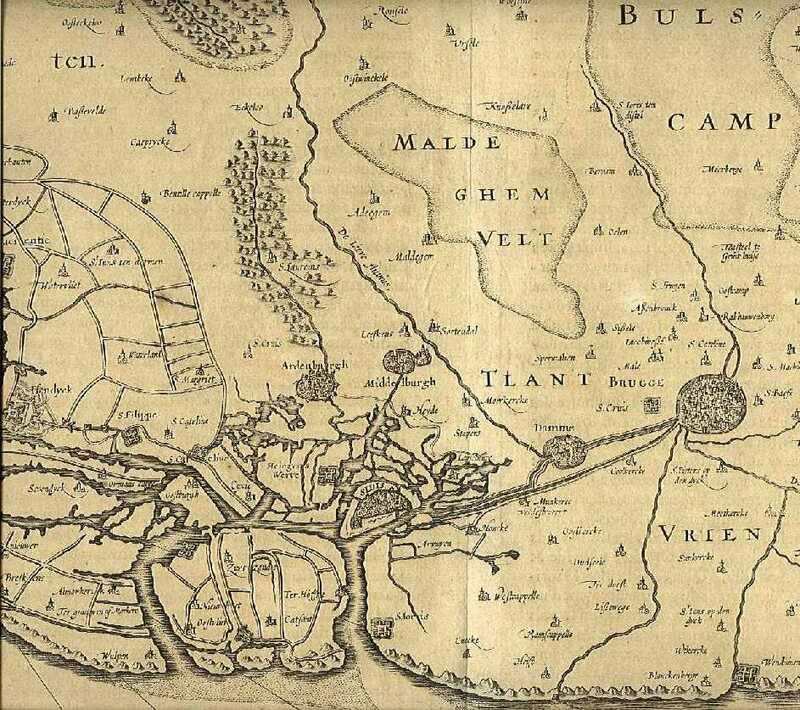 Here is part of a 1613 map of Flanders. For a full size copy click here or on the picture. Find it in our NOE website !